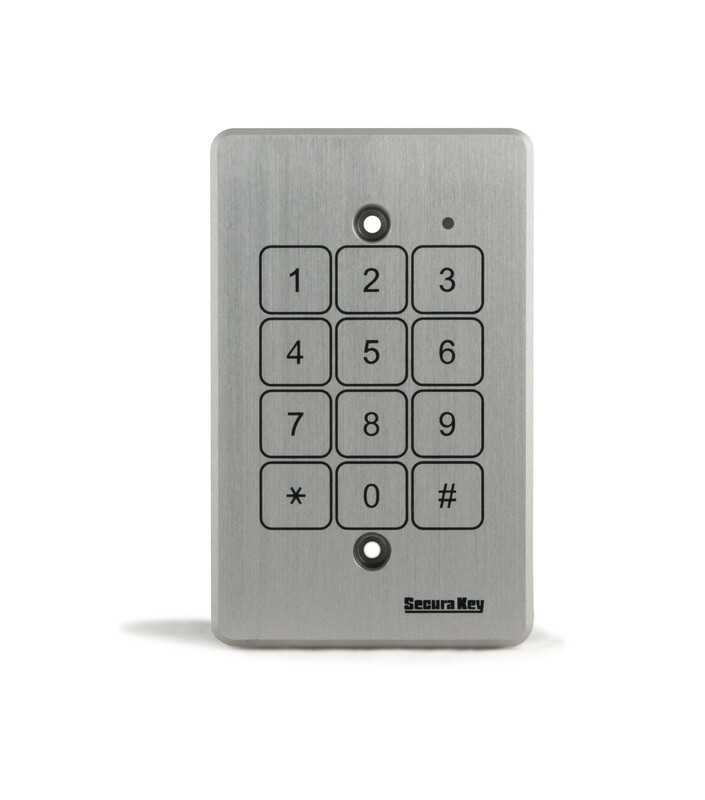 The SK-KPS is a digital keypad with a Wiegand output for use with the Secura Key SK-ACP, as well as with many other access control systems. The SK-KPS is a digital keypad with a Wiegand output for use with the Secura Key SK-ACP, as well as with many other access control systems. 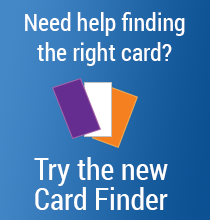 Personal Identification Numbers (PINs) are sent to a controller via industry-standard 26 bit Wiegand communications. 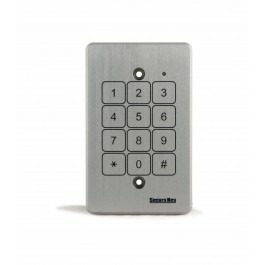 Secura Key keypads are virtually indestructible. Solid-State piezo technology means no moving parts and no buttons to damage or wear out. The one piece metal housings are fully potted for IP68-rated water-resistance and the anodized graphics never wear off. The SK-KPS covers standard electrical boxes. The SK-KPS combines the convenience of digital keypads with the advanced features and superior security of a true access control system. These keypads do not operate as standalone units. Size: 5.12" x 3.19" x .748"